Our hair conditioning oil isn’t at all like your normal chemical conditioner. 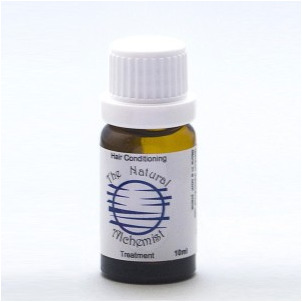 It conditions the roots of the hair, made up of beautiful Jojoba and essential oils. These oils help condition the scalp therefore reducing many scalp related problems. We have included carrot and cedarwood atlas essential oils into our new improved blend. These two oils are very nourishing to the hair and promote healthy growth. This is a leave in conditioning oil treatment that is done between washes while hair is dry. It contains a mix of essential oils rosemary, lavender, lemon tea tree, carrot, cedarwood and jojoba that will add shine and softness to your hair while improving scalp condition therefore helping to reduce many scalp related problems, Used correctly this treatment does not make your hair feel oily. Place a few drops on your fingertips and then gentle massage into scalp then brush through dry hair, leave in hair until next wash. Conditioning can be done every 3 days or as needed depending on your own hair condition. Ingredients: Essential oils - Lavender spike, rosemary, lemon tea tree, carrot, cedarwood atlas and Jojoba oil.